Siblings, originally uploaded by lightwriter27. 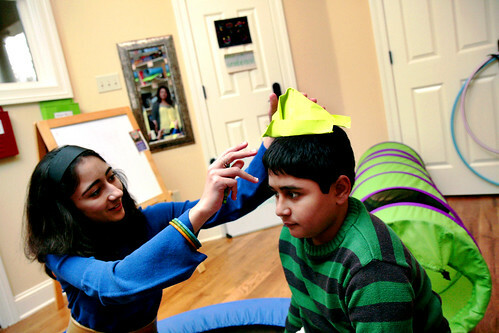 Mashal Mirza, left, plays with her brother Omar Mirza, in his playroom. Omar is autistic and Mashal recently won a nationwide essay contest for siblings of those with autism. In the essay, she proposed a festival especially geared toward children with autism. Mashal has raised approximately $5,000 for the festival, which will become a reality on April 4 at Riverdale Elementary School.